An easy-handle tool to convert PDF to realistic 3D flip magazines, e-catalogs, e-brochures with page turning effects and 3D spinning effects in minutes. 3D PageFlip Standard is a perfect flash flipbook software to transform PDF files into realistic 3D digital magazines. With 3D PageFlip Standard, You can create amazingly realistic 3D interactive magazines, catalogs, e-brochures, eBooks with flipping pages or newspapers in minutes without any Flash/HTML knowledge or programming skills. And you can output your 3D Digital Brochure online, offline (on your PC, iPad etc), even burn it to a CD/DVD or use it with an USB storage device. The page flipping book can be spinned in 360 degree with full vision, and it brings a feeling to users as if they are holding an actual book in their hands. Use realistic 3D page flip magazines effect to promote your flash flipping book, boost your book’s sales or to demonstrate your eBook in realistic, visual 3D animation right now! PDF to 3D book with 360 degree rotating and page flip effect! 10 in 1 templates (2D & 3D panoramic) for flipbook design! • An affordable Page Flip Software to create realistic 3D magazines from PDF. • Plane Template (Float, Handy, Plain, etc) and 3D Panoramic Template for design. • Fully customized settings can be used to create your own style for 3D page flip book. • Total solution to easily and effectively publish 3D flip page flash eBook offline and online with exe, HTML, ZIP format. Publish online for mobile devices (iPhone, iPad, and Android devices). • Unlimited conversions without paying royalties. Odin Data Recovery Professional is a useful data recovery tool for hardware RAID and hard drive, USB drive, SD card, memory card,any removable discks,etc.It can do format recovery, unformat and recover deleted files emptied from the Recycle Bin, or data loss due to partition loss or damage, software crash, virus infection and other unknown reasons. Recover files from devices with unknown file systems including Hard Disk, external ZIP/USB drive, removable SmartMedia, MemoryStick, SD cards, etc. 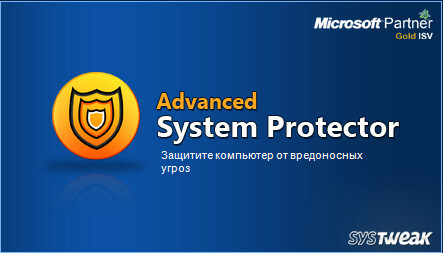 Advanced System Protector is an effective solution to find and remove malware infections present on your PC. It also provides protection shields against malware threats. BlueAuditor is a Bluetooth network scanner for monitoring and auditing Bluetooth network security. It is an easy-to-use Windows software for detecting and monitoring Bluetooth devices in a wireless personal area network. 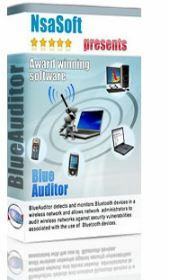 BlueAuditor Bluetooth network security scanner and Bluetooth network security auditor. 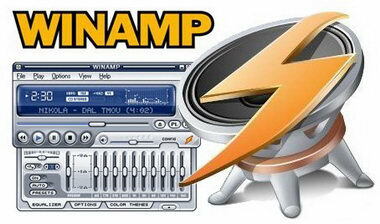 The software allows to scan Bluetooth network and gather detailed informations about local and remote Bluetooth devices. BlueAuditor can discover and track any Bluetooth device and phone within a distance between 1 and 100 meters, display key information about each Bluetooth device being detected as well as the services device provided. BlueAuditor Bluetooth network security scanner will enable network administrators to effectively audit their Bluetooth network security against security vulnerabilities associated with the use of Bluetooth devices. BlueAuditor enables the user to save the data of the detected Bluetooth devices in an .xml file and supports the most Microsoft drivers available on the market. FontLab Studio 5 is our next-generation professional font editor for Mac and Windows. 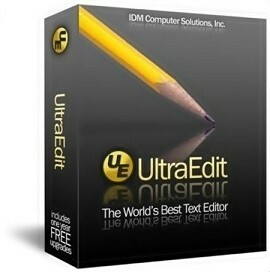 Used by Adobe, Apple, Bitstream, IBM, Linotype, Microsoft, Monotype, Morisawa and almost every other major font foundry in the world, it is the comprehensive solution for font foundries, professional type designers, typographers and graphic design studios, allowing them to design typefaces and create or modify fonts. 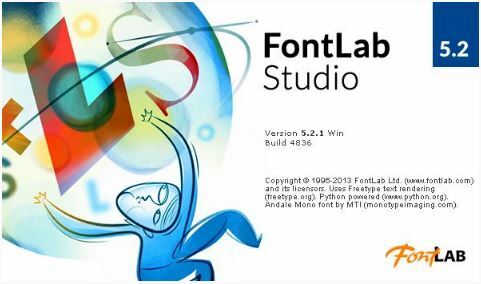 FontLab Studio 5 supports all major outline font formats, including Type 1, TrueType, Multiple Master and OpenType. • Environment Selector – Provides predefined or user-created editing "environments" that remember the state of all of UltraEdit's dockable windows, toolbars and more for user convenience. Traction Software Screen Grab Pro Deluxe features One click grab of any screen for ease of use, timer operation, current window selection list. Screen Grab Pro Deluxe supports full window or window region screen capture to file and/or clipboard ready for pasting in your favorite Picture Editor, capture of video windows is now possible, BMP, JPG, GIF, ICO & PDF save support, JPG compression options, change capture scaling, mouse pointer capture support, save with scaling options, auto save filenames with directory path, temp path and file naming support for e.g. date, time filename output. Minimizes to task tray for quick capture, includes balloon tray info support, one key / mouse click capture & configure your own capture shortcut keys. Surf anonymously, change your IP address, protect your personal information against hackers and provide full encryption of your online activity, all with the click of a button.Protect your privacy on the Internet. 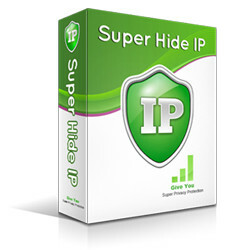 Use Super Hide IP to surf anonymously, prevent hackers from monitoring your online activities or identity thieves from stealing your identity and other personal information, send anonymous email, and un-ban yourself from forums or restricted websites. Hide your IP in E-mail headers. Be protected while sending e-mails via Yahoo!, Hotmail, GMail. Take fun photo snapshots and video clips easily with your webcam using Video Booth. Add built-in smart effects to your photos and videos to make them fantastic and magnify the fun of sharing with friends as you can upload your works to website or YouTube directly. – Take snapshots – capture your special look easily. Video Booth makes it easy to take snapshots with your built-in or computer-connected cameras. Just launch this application, locate images, and click. Take a single picture or take four pictures in succession using the “Continuous Shooting” mode which makes your pictures more special. Before photo is snapped, Video Booth flashes your screen to let you know that it is taking the last display showing in the main window. – Record video clips smoothly and stably. 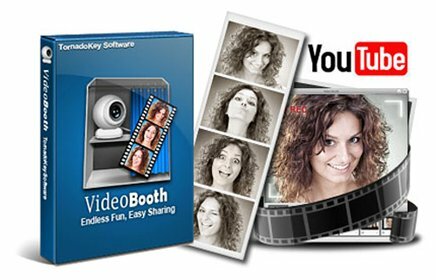 With Video Booth, recording video clips by your webcam is fairly easy, just clicks away. What more importantly is that the video clips captured by Video Booth are very smooth and stable. 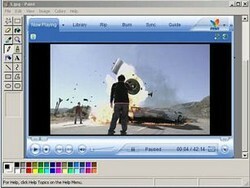 Effects can be added to your video and make it more fun to upload to YouTube and to share with your family and friends. – How about adding some effects and see how fascinating it could be. Using the effects to transform your look, make your smiles fantastic or freaky. Snap a picture of yourself in outer space, or take a walk in a beautiful fall woods. Start your journey of fun with all these effects offered by Video Booth which work perfectly for snap shooting and video recording.